Sometimes it's simply in the blood. Despite a detached upbringing in the tropics of Hawaii, Will Weston's adherence to music runs deeper, the son of two accomplished touring and session musicians and grandson of 1950's Hollywood icons Jo Stafford & Paul Weston. Now ten years relocated to San Francisco, Weston's independent releases have refined a composite style of equally funky & soul driven rock songs, with a truest affection for melody. A lengthy residency at SF's iconic Boom Boom Room in 2015 forged both a loyal support base and core group of players behind him, earning Weston a seat at the table backed by session musicians responsible for some of the top recordings to emerge from the Bay Area. Teaming with East Bay funk-addict Nino Moschella at his own Bird & Egg Studios in 2016, Weston locked in ten ambitious new tracks due out this fall, comprising his third full-length, Meridian. "For his third album, Meridian, Weston had a vision for more. He went into hibernation mode and buckled down to produce something that is truly unlike anything else you will hear on the radio, but should. Pushing himself to the limit creatively, Weston has created ten songs of genre-blending and bending goodness. The marriage of live instrumentation and electronic provides a multi-faceted experience while Weston’s heartfelt and whimsical lyrics bring you back home. This is an album that deserves to be played all the way through in one sitting, there are no filler’s or background music to be found here. With each new listen, you are guaranteed to find something you missed before, which is basically like getting a gift that keeps on giving." "Weston is a San Francisco-based songwriter and guitarist exported from humble roots in Maui, Hawaii. An early exposure to rhythm and blues met with an attraction toward guitar-led rock and pop music. Relocating to the Bay Area in 2006, Weston recorded his debut album "Quiet, Sirens" in 2012, enjoying a string of live shows and an outpouring of local support that catapulted him to the Bay Area's top stages. Each listen reveals something new and interesting in the way the songs are constructed. Weston's sound melds the funky/jazzy grooves and incisive and witty lyrics of vintage Steely Dan with the melodic pop sensibilities of late 1980s XTC. 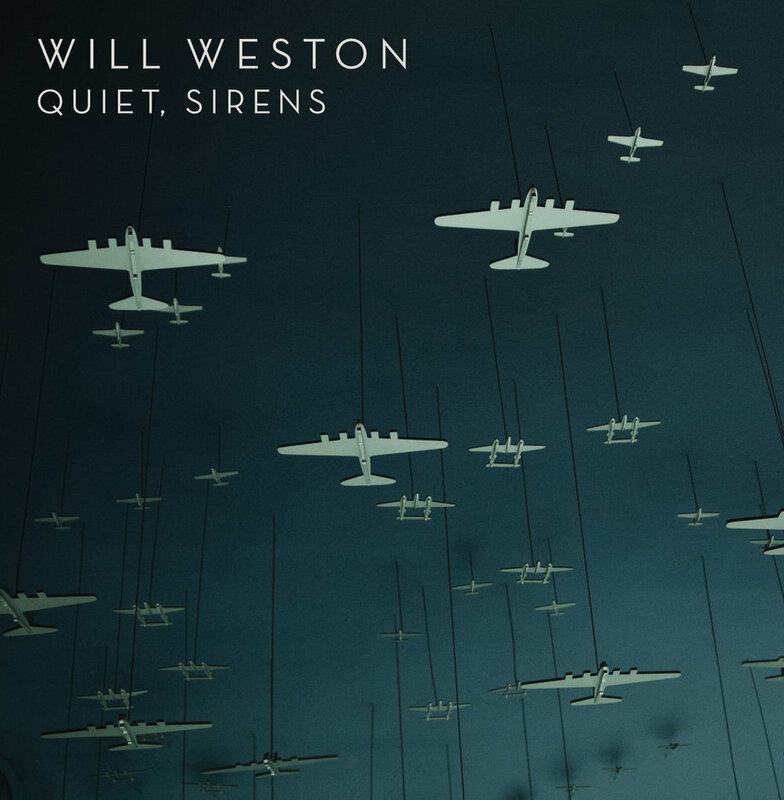 The music is guitar/drums driven, but the keyboards and horns are an essential part of the sound and are always present without getting in the way"
"Weston leads a septet of diverse but harmonious musical talent ranging from brass and strings to drums and keys. Weston’s dedication to music undoubtedly stems from his upbringing by two accomplished jazz musicians, as well as an early exposure and love for rhythm and blues and guitar-led pop rock. And his dedication shines through the new album. Heart of the Order boasts a dynamic blend of infectious melodies and upbeat rock rhythms, bordering on funk and delving into soul. The song list spans the spectrum of upbeat and hard hitting joy to delicate and somber. The constant cadence and energy of the rhythm section throughout is tight and uncompromising. The bass lines carry, the horns elevate the sense of warmth and immediacy, while the vintage-style keys bring a soulful nostalgia that blends nicely with the contemporary indie-pop vibe. And for six-string lovers, the guitars lead. Weston’s local influence can be heard in a subtle Pepper-style sway that only the islands can convey. Like the island he hails from, Weston has crafted something original, along with his understated bandmates."